Quality and innovation since 1869. 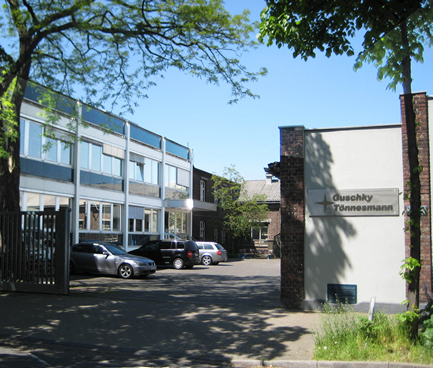 Guschky was established in 1869 as a mechanical engineering company and have specialised in manufacturing of paper converting machines. The steady world-wide increase in paper production and the improvements in the packaging field also brought the growth of Guschky and an upgrading of its reputation. 90% of our machines are exported into all 5 continents. Many of our multi-lingual service engineers became real globetrotters with jobs waiting for them in Africa, Asia, America, or elsewhere. Our well organised parts department ensures a first class after sales service. In 1952 Guschky delivered the first double head / two belt spiral winder called DB to Messrs. Brüggen, Düren, which is today known as the Sonoco plant, Düren, near Aachen, Germany. 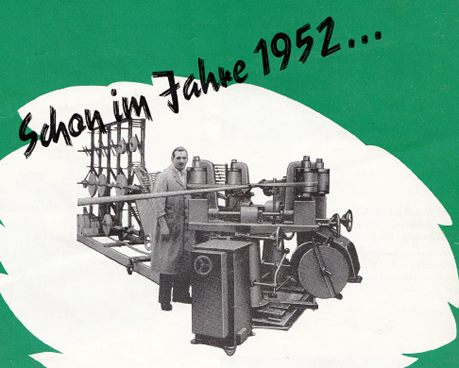 Guschky published this leaflet in order to show their double head machine. You can find the typical V – position on the leaflet which was celebrated by our competition as an innovation decades later. The leaflet on the left side is a copy from the original leaflet dated year 1952. The DB is the ancestor of the most famous machine series called DBC which was built till year 2005 in high numbers and sent world wide. for machines from year of manufacture 1950 till today. 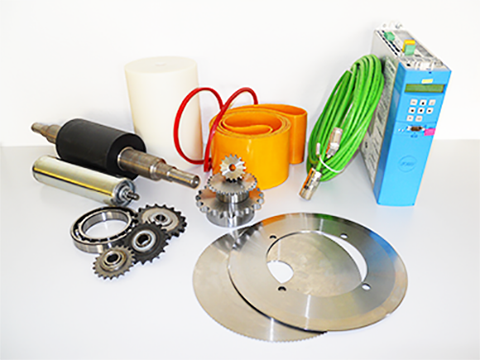 With the aid of the machine number, we are able to identify the complete documentation of every machine from our house, and thus ensure spare parts procurement. This system also makes it possible to continue to provide spare parts for machines today which were delivered decades ago. All documents have always been and will continue to be maintained and archived by us carefully over decades. As a rich in tradition and active globally, we always feel obliged to support our customers in operating their machines and systems with high levels of profitability. This applies also for older machines. 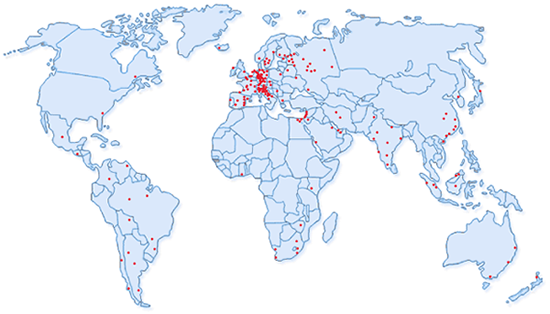 Guschky systems have been running for 30, 40 or more years completely reliably in many countries. Extensive service is still offered today for these machines as well. Countries in which our machines are in operation.